Aren’t things always so much better in hindsight? This is, of course, also true for wallpapers. 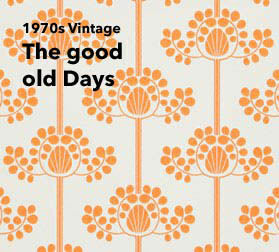 For without beautiful Flower Power Vintage wallpapers, the Seventies wouldn’t have been the Seventies! 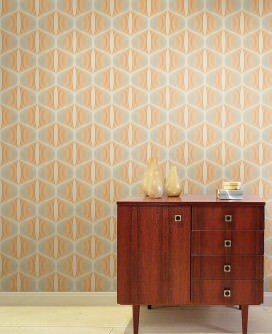 And geometric patterns and pastel hues belong to the Fifties like petticoats and quiffs. 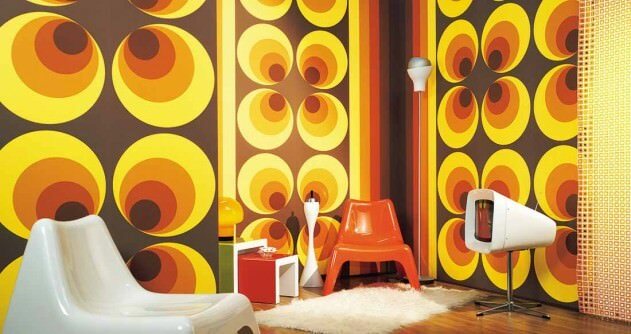 As for the Sixties, the hippie generation loved all things psychedelic, a fact that, naturally, was reflected in their wall décor choices. This fabulous new range is just that little bit crazier and louder, more outrageous, colourful, outlandish – in short: it’s refreshingly different! We simply *heart* vintage! 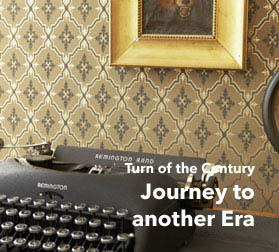 The “official” definition of the term Vintageis: originals from the 1930s to the 1970s. 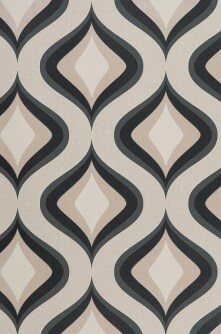 These days, the terms vintage and retro are often used synonymously or interchanged. 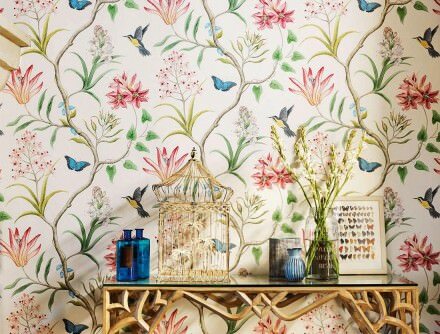 Compared with the original wallpapers from bygone days, which would not meet today’s quality requirements, our imaginative range is by far superior in terms of adhesive strength, colour intensity and durability. 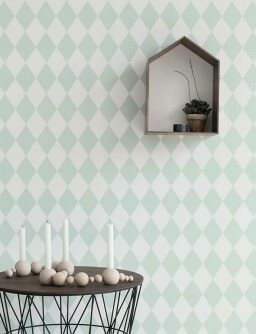 Our patterned vintage-style wallpapers will take you on a nostalgic journey back to iconic eras, but also boast a contemporary feel for discerning lovers of all things vintage who also expect top quality. 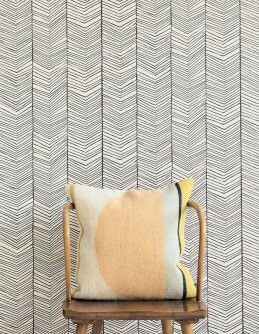 Modern interior decoration styles are predominantly based on clear lines but leave plenty of room to the imagination when it comes to the combination of stylistic elements. 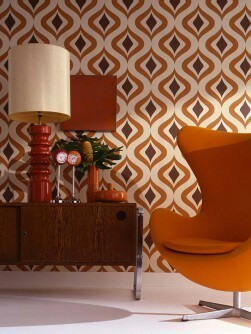 Vintage and contemporary designs are perfect bedfellows and complement each other beautifully. 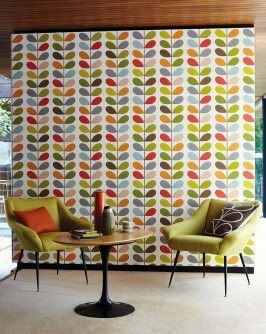 They provide a bit of much needed whimsy in otherwise minimalist ambiences. 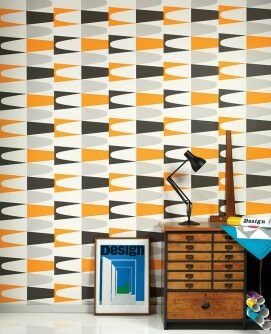 They can be used as tools to give a room new structure and eye-catching contrast. 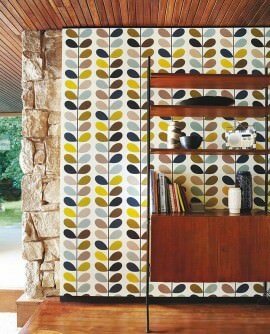 Furniture and accessories are given a new lease of life. 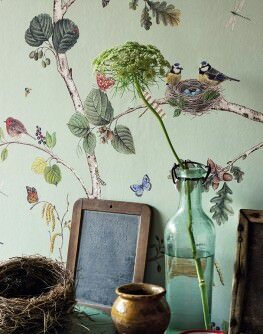 This is the reason why vintage wallpaper is so versatile and exciting, and why we offer a broad spectrum in our range.